Sleeve notes, synopsis and libretto in Finnish and English. This recording (...) feels tight and exciting (...). Helena Juntunen is outstanding in the title role both vocally and emotionally and Jorma Hynninen makes much of her compromised father (...) Anna Liisa is something special and deserves wide circulation outside its native land. Ondine releases the world premiere recording of Veli-Matti Puumala's (b. 1965) opera Anna Liisa. The libretto of Anna Liisa is an adaptation by the composer based on a natural-ist play by the Finnish writer Minna Canth (1844-1897). Canth's popular play describes the tragedy of Anna Liisa, caught between the norms of the sur-rounding society and her own moral conscience. Veli-Matti Puumala explores the potential of music from fresh and innovative perspectives. His music is characterised by a clash of intense and energetic textures with quiet landscapes with a quite different timescale. Puumala started making sketches to his opera already in 1997, but the opera had to wait its long-awaited premiere until 2008 when it was included in the programme of the Helsinki Festival. Puumala, a pupil of Paavo Heininen and Franco Donatoni, has won Prix Italia in 2001 and in 2005 his Piano Concerto Seeds of Time was awarded with the Finnish Teosto Prize. Puumala has been Professor of Composition at the Sibe-lius Academy since 2005. 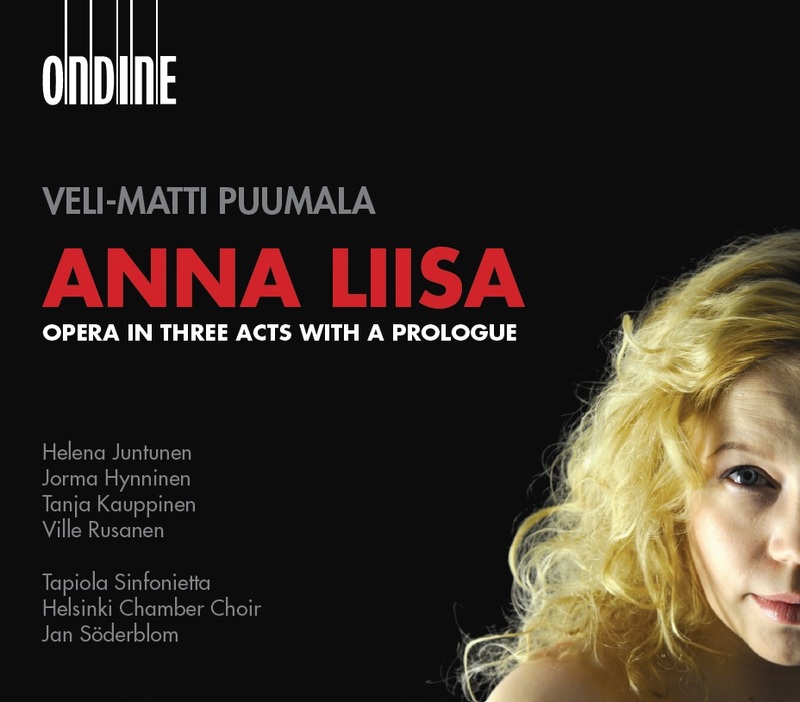 Puumala's opera features several well-known Finnish opera artists, including Helena Juntunen and Jorma Hynninen. The Tapiola Sinfonietta is conducted by Jan Söderblom.